Hope you already gone through how to get bsnl GPRS/3g configuration through online/sms automatically . Here in this article we are trying to explain banl gprs manual settings for android mobiles. For configuring gprs/3g settings manually you have to set APN (access point name),Authentication type,APN type MCC (Mobile Country Code) and MNC (Mobile Network Code) Below you can see the step wise procedure for manual gprs configuration for bsnl. These procedure you can use in all the android mobiles including samsung, nokia, sony, micromax, htc, panasonic, xolo, spice, acer, thoshiba, motorola, all Chinese mobiles etc. i tried manual & My service portal also but i didn't get any configuration messages. 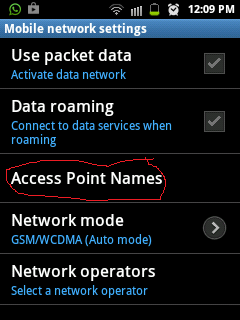 When i was inserted other network sim that was worked,i have problem with bsnl sim,what will i do please suggest me. please do any favour for me. let me know your mobile model..? is it an android mobile? 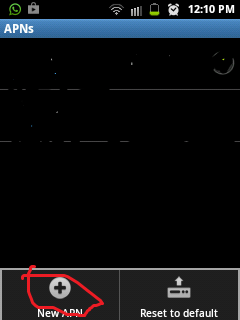 Pls suggest how to get the internet setting in HTC One E8 dual sim Handset.. 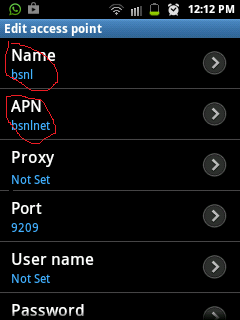 Here it explains the ways to get internet settings http://www.bsnlplans.in/2013/08/how-to-get-bsnl-gprs-settings.html . your phone is not in the list you have to do the manual configuration. If nothg is working let me know what error it i showing aftr manual config. Hi! I am using Yureka YU AO5510. 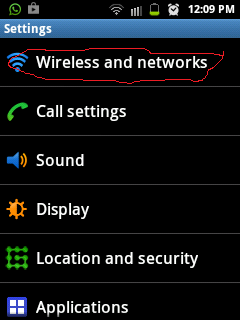 I used your above settings for activating 3g in my handset, but I have not been successful. 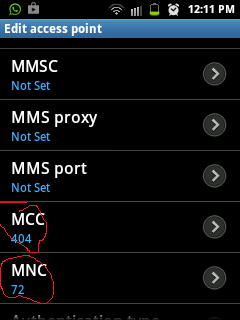 As the sim is of cellone (kolkata), I have used 81 as MNC while the rest are the same. The username (MSISDN) and the password (******) which was there earlier haven't been changed either. Could you suggest how to come out of this? I am using mobile internet using rajasthan SIM. I am lining in Karnataka. If I change MNC from 59 to 71 can I get a better 3G speed? Please reply. I have tried through 58355 but the message i recieved that the format is not correct. i tried manually as above but my problem still have not resolved. net is working very slowly. The problem is not with working net or not in my case till now i want to resolve my requesting handset configuration screen message problem because of it battery discharges very rapidly. please help me, the model is new also connection is new and have tried to contact customer care since last 5 days ultimately they have surrendered. is there any faultin sim or handset? First you use the same SIM with another device. And still if the problem persist ,the problem is with your SIM or try resetting your phone to default factory settings.. I have used the sim in another device (moto e) sice last 30 hrs. its just have shown the same problem once at the beginning of internet connection but later it has not shown any problem and net is also working fine on that device. Is it problem in my handset (SAMSUNG Galaxy On7) but on another network like idea or vodafone its working right. I have reset network/APN settings but still I have not used factory data reset because I need to take back-up first. Now, the internet has also been stopped working its showing on the screen: "dear customer, you are currently not getting the benefit of handset bundle offer. please use the correct handset to enjoy the offer. your balance is lo" Also as as i have mentioned earlier when I messeging to 58355 to get the settings its saying incorrect format of model. I think its problem with bsnl connection may be because of new connection. Is there no way to avoid formatting handset or should i visit bsnl care or samsung service centre.